We are a multiple pet household and we're proud to celebrate Multiple Pet Day! Sometimes our pets barely tolerate each other. 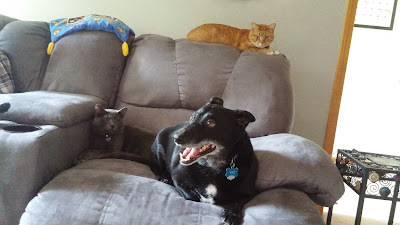 Yaz is NOT comfortable with his back to the cats. 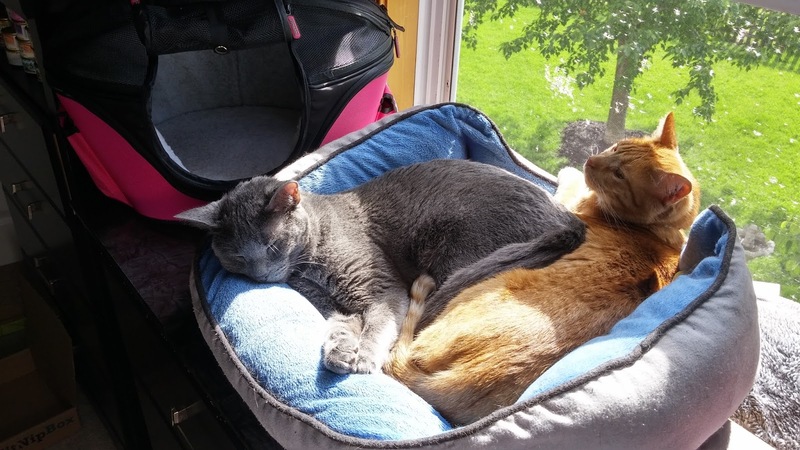 Sometimes they are each other's best buddies. But they are always family! Thanks to Emma over at My GBGV Life for letting us know about Multiple Pet Day! Warner Bros. Pictures and Metro-Goldwyn-Mayer Pictures present, a Sunswept Entertainment production, a Boaz Yakin movie, "Max". The film opens nationwide on June 26, 2015, and will be distributed by Warner Bros. Pictures, a Warner Bros. Entertainment Company. Max has been rated PG by the MPAA for action, violence, peril, brief language and some thematic elements. 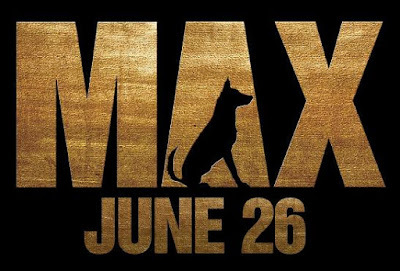 From Warner Bros. Pictures and Metro-Goldwyn-Mayer Pictures comes "Max", a family action adventure from writer/director Boaz Yakin ("Remember the Titans", "Now You See Me"). Shipped stateside, the only human he seems willing to connect with is Kyle's teenage brother, Justin, so Max is adopted by Kyle's family, essentially saving his life. But Justin has issues of his own, such as living up to his father's expectations for him; he isn't interested in taking responsibility for his brother's troubled dog. However, Max may be Justin's only chance to discover what really happened to his brother that day on the front, and with the help of a tough-talking young teen, Carmen, who has a way with dogs, Justin begins to appreciate his canine companion. Justin's growing trust in Max helps the four-legged veteran revert back to his heroic self, and as the pair race against time to unravel the mystery, they find more excitement-and danger-than they bargained for. But they each might also find an unlikely new best friend...in each other. "Max" stars Josh Wiggins ("Hellion") as Justin Wincott, Lauren Graham ("Cloudy with a Chance of Meatballs", TV's "Parenthood") as his mom, Pamela, and Oscar nominee Thomas Haden Church ("Sideways") as his dad, Ray. 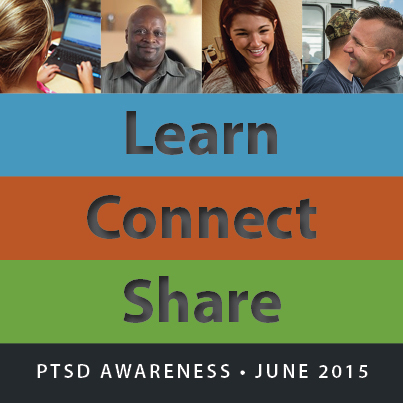 One of the underlying themes of the film is PTSD and June happens to be PTSD Awareness Month. Want some more fun? Tell us why your pet is your hero! 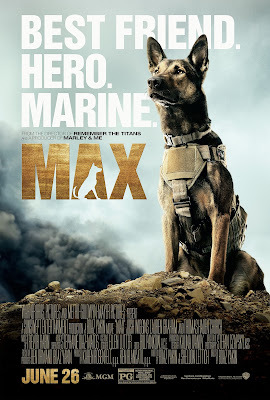 Share your photos and stories using the hashtags #HeroPet and #MaxMovie on social media for a chance to be featured on the official MAX pages! 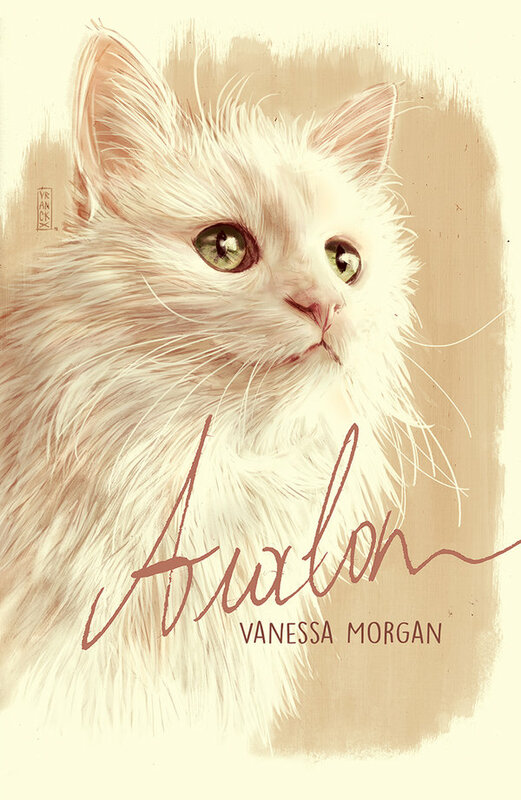 Avalon by Vanessa Morgan is one of the most moving books I have read. 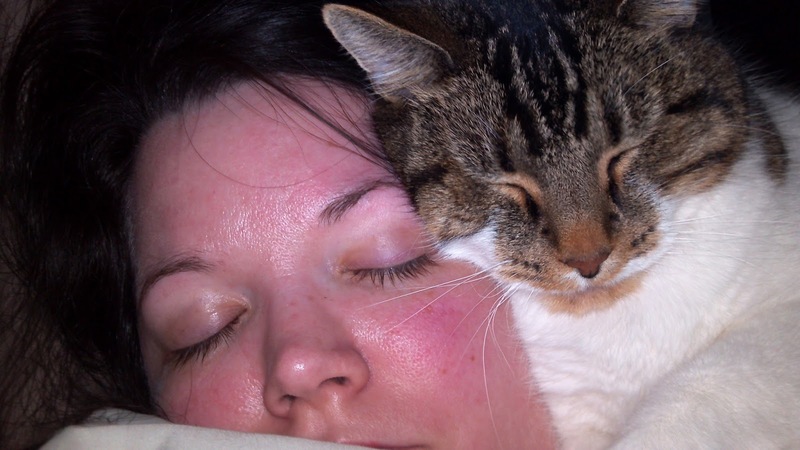 It centers on the author and her cat and the immeasurable bond they shared. Ms. Morgan found the stray Turkish Van cat and the love was instant. Avalon was the kind of cat who needed an exclusive relationship with his human and repaid that respect with unending love. Ms. Morgan gave Avalon everything he required, even when it may have seemed unusual. He was the center of her world, and she, his. With her, Avalon was affectionate and loyal while other people only saw his insecurities expressed as destructive behavior. While reading Avalon's story, the emotion between them was palpable. 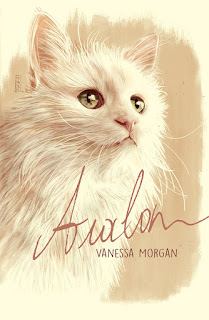 Maybe it was because I was reading it on the anniversary of losing my heart cat, but I connected with Ms. Morgan and her love for Avalon instantly. It made me feel like the relationship I had with Sebastian wasn't so different. Someone else had that with their cat as well. I shed some tears as I read Avalon, but they were so worth it to get a glimpse of this special cat and his immense ability to love his human. It is well written and I would happily read Ms. Morgan's other books. I would highly recommend this book to all cat lovers. In fact, I'm going to suggest it as a book for my Twitter book club, ReadPawty. I received an electronic copy of the book for free from the author in exchange for an honest review. My thoughts expressed in this review were honest and in no way were influenced by the author. The cat who chases mice away is as good as the cat who eats them. Still my inspiration, still my muse. 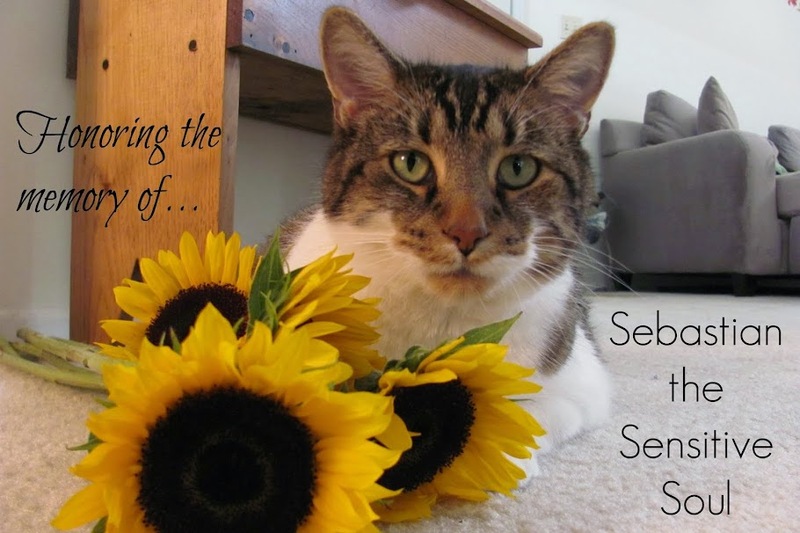 I love you, Seb. You can visit the wagon to try out their dog agility course, a doggy toothbrush, and get free samples of Wellness pet food and treats. 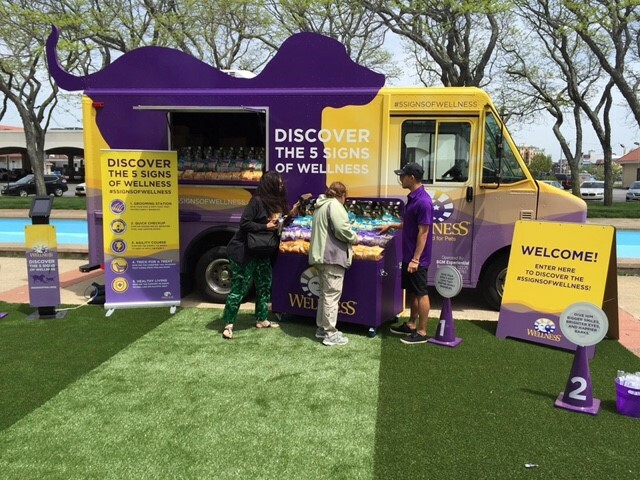 While you're there, take a picture in front of the wagon and share it on social media with the hashtag #WagsforWellness. 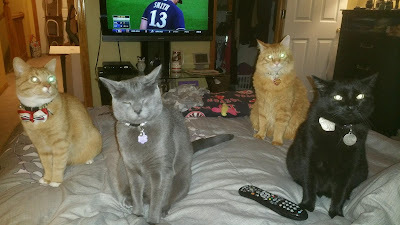 For every picture shared Wellness will donate a bag of pet food to shelter pets. I wish the Wellness Natural Pet Food Wagon was going to be in my town! My kitties all eat Wellness: Evelyn gets the Complete Health Healthy Weight Formula (she's a curvy girl!) and the boys eat the Complete Health Indoor Health Formula. Since I can't visit the wagon, I hope all my readers will get the chance! 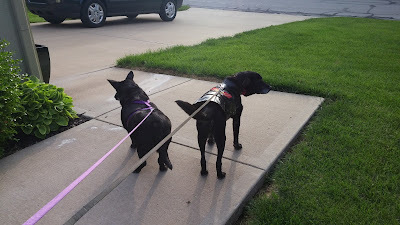 Disclosure: I was contacted by Wellness Natural Pet Food to post about the Pet Food Wagon and they are compensating me for this post. However, this post accurately reflects my honest views and I only post about products I believe in. Show me a good mouser, and I'll show you a cat with bad breath. I sorted through all my swag from BlogPaws after I had been home a couple of days. 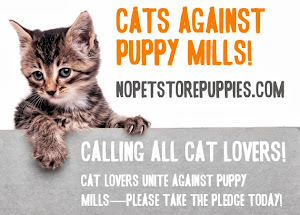 I decide what I'm going to keep for my critters and what I'm going to donate to the shelter. If there are treats, food, or toys I already know my guys won't enjoy, it goes in the donate pile. If there is something they already use or something I've been wanting to try, it goes in the keep pile. As I sorted, I found several new treats I wanted them to taste. A couple were instant hits! 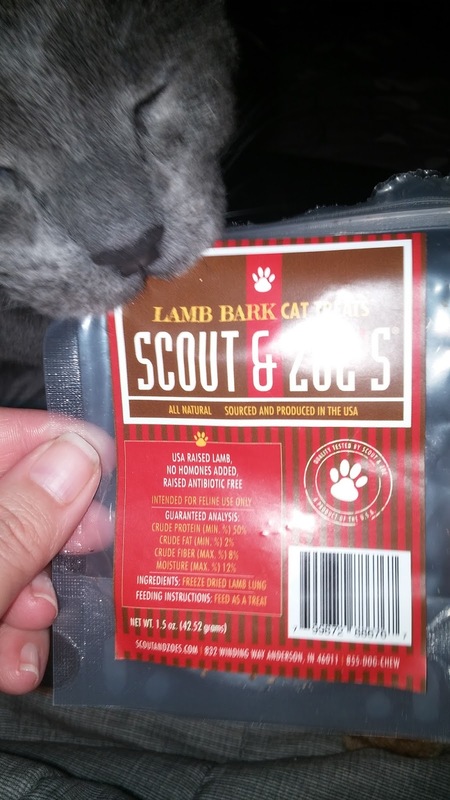 The cats all LOVED the lamb bark treats from Scout and Zoe's. Stilwell was really hoping for more. Treats for the dogs can be hard to choose. Yaz is overweight, so I try to find treats that are healthy and low calorie. Heloise is even more of a challenge. With her kidney issues, I can't add any extra protein to her diet. 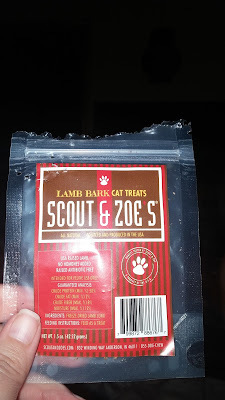 Not only did I find a treat that fits the needs of both dogs, but they love them, too! 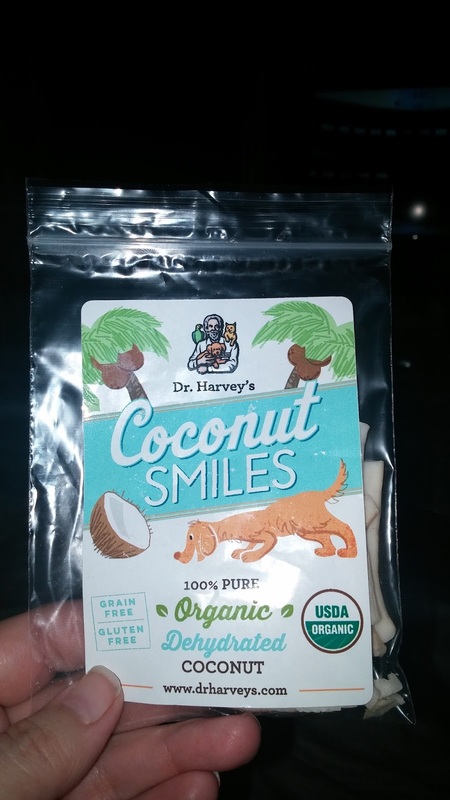 Check out these Coconut Smiles from Dr. Harvey's. I'm going to be stocking up on both of these treats! Neither company contacted nor compensated me for this post. I got small sample packages of each in my swag bag from BlogPaws and since they went over so well, I wanted to tell you all about them. I visited the Leavenworth Animal Control Shelter in Leavenworth, Kansas this week and met a polydactyl kitty who stole my heart. He doesn't officially have a name, so I'll just call him "Toes." Photo courtesy of Pam H.
Toes is a male shorthair tabby cat with some of the best feet I've ever seen. The Leavenworth Animal Control Shelter doesn't have many pets available for adoption, but that doesn't mean you should overlook the ones who are there. Toes and the other pets need homes just as much as the pets at the busier shelters. Read about Toes here, then go meet him. I know he'll be happy to see you!